The Netflix comedy could be the biggest show in all of TV, according to Symphony Advanced Media ratings. 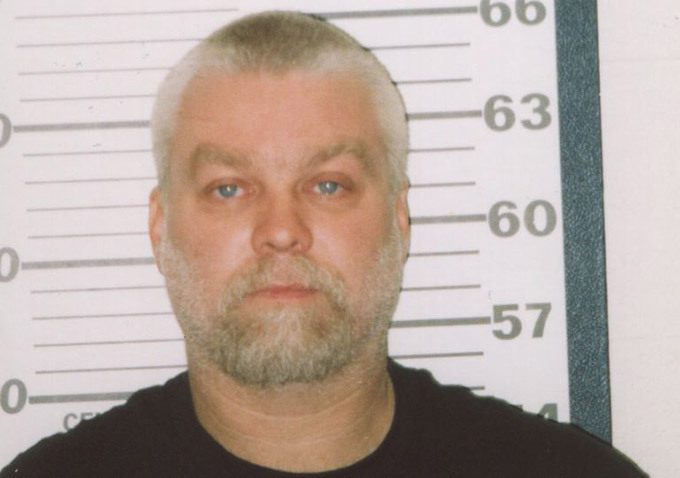 "Making a Murderer" is also a monster. Frank Underwood and the ladies of Litchfield had better make room for D.J. Fuller, Stephanie Tanner and Kimmy Gibbler. “Fuller House” was more than just a massive hit for Netflix this winter, it was one of the most-watched TV series of the year – on par with “The Walking Dead” and “Sunday Night Football.” That’s according to data from Symphony Advanced Media, which has been using its own methodology to measure viewership on streaming services like Netflix and Amazon, both of which refuse to release ratings on their own. According to Symphony, “Fuller House” episodes averaged 14.4 million viewers among adults 18-49 within its first 35 days of its Netflix premiere date (Feb. 26). That’s the equivalent of a 10.4 rating in the demo. Take a look at our 2015-2016 TV season broadcast/cable ranker, and that would put “Fuller House” at No. 1 among all TV series for the entire year. Of course, it’s apples and oranges. Per Netflix’s usual strategy, “Fuller House” premiered with all 13 episodes at once, and Symphony’s Live + 35 data for Netflix is very different from the Live + 3 or Live + 7 ratings we normally see for broadcast and cable. But nonetheless, that 10.4 rating / 14.4 million adults 18-49 viewers is huge, landing “Fuller House” in the upper echelon of TV series. If you were just counting the first 7 days after “Fuller House’s” launch, it still attracted 10 million viewers in the demo. That puts it just below “The Walking Dead,” which averaged a 9.6 rating – translating to 12.1 million viewers in the demo (according to Live+7 viewership). NBC’s “Sunday Night Football” averaged a 7.8 rating (equals 9.9 million viewers in the demo), while Fox’s “Empire” posted a 6.6 rating (8.4 million viewers in the demo). The top-rated comedy among adults 18-49 on the linear networks: CBS’ “The Big Bang Theory,” which averaged a 5.8 rating (7.4 million viewers in the demo) this season. According to Symphony, most of the “Fuller House” viewership came within the first week after it premiered (a.k.a. the equivalent to Live + 7). And at the time, the launch of “Fuller House” was felt by broadcasters. The night that “Fuller House” premiered on Netflix, Variety noted that overall TV usage levels dropped 3% from the previous week, making it the lowest- tune-in for any Friday since the holidays. ABC’s family-friendly sitcoms were hit especially hard. Given all of this, it’s no surprise that Netflix has ordered a second season of “Fuller House” from Warner Bros. TV and its Warner Horizon division. But “Fuller House” wasn’t the only Netflix property making waves in the first quarter of 2016. The docuseries phenomenon “Making a Murderer” garnered a 9.7 rating with adults 18-49 (translating to 13.4 million viewers in the demo) in its first 35 days of availability — which, again, would make it one of the most-watched programs among broadcast, cable and streaming over the past season. According to Symphony, “Making a Murder” was little-seen in its first week on Netflix — and then exploded. “Making a Murder” saw an astounding 815% lift in its L+35 rating vs. its L+7 number. “Fuller House’s” stats shouldn’t come as much of a shock. The reboot was smacked by critics, who cursed the return of the show. But “Full House,” which aired on ABC from 1987 to 1995, is still a ratings juggernaut via repeats on Nick at Nite, which introduced the show to a whole new generation of Millennials. Original star John Stamos led the charge to bring the show back (he owns a stake), with Miller-Boyett Productions and Jeff Franklin Productions also on board. Candace Cameron-Bure (D.J. ), Jodie Sweetin (Stephanie) and Andrea Barber (Kimmy), star in the revival, with guest spots from Stamos, Bob Saget (Danny), Dave Coulier (Joey) and Lori Loughlin (Rebecca), among others. Netflix has dismissed Symphony’s data in the past, as Netflix’s chief content officer Ted Sarandos called it “really remarkably inaccurate data.” But its numbers continue to be the only ones available to the media, and has been given the stamp of approval by NBCUniversal research president Alan Wurtzel, who revealed some earlier data to reporters in January. Source: SymphonyAM VideoPulse. Streaming Original Viewing thru 35 days after release date. Pulled 3/24/16. Symphony uses audio content recognition via cell phones to track viewership. Other Symphony data: “Marvel’s Jessica Jones” attracted a 4.5 rating (6.3 million viewers); “House of Cards” posted a 3.5 rating (4.9 million viewers); “F is for Family,” 3.5 rating (4.8 million viewers); and “Master of None,” 3.3 rating (4.5 million viewers) — all adults 18-49, streaming original viewing through 35 days after release date.